Duvet cover: 200x 220cm. 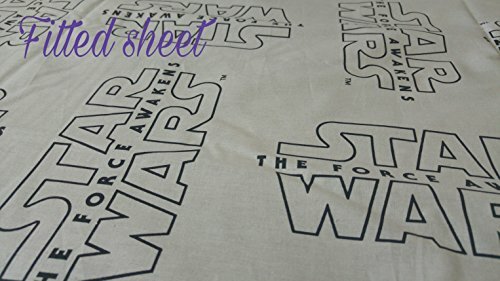 (78,74''x 86,61'') (not a Comforter, but just a "Cover of Duvet/Comforter") Flat sheet: 160 x 200cm. (62,99'' x 78,74'') (Fits to bed of 160x200cm. 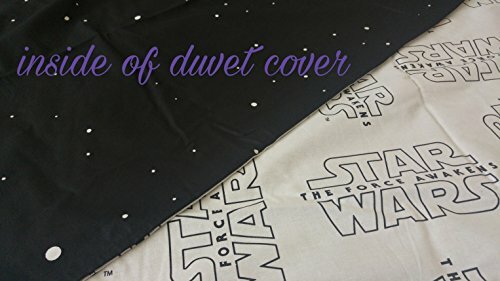 (62,99''x78,74'')) Black "Star Wars" written on white bedsheet. Pillow cover (2 pieces): 50 x 70cm. 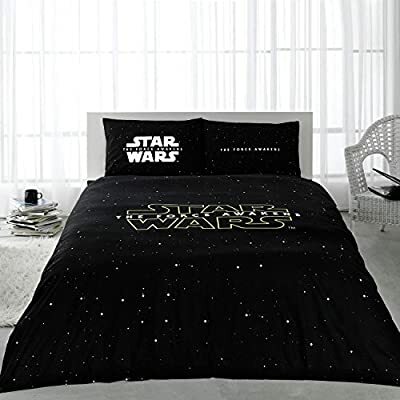 (19,68'' x 27,55'') Star Wars Bedding Set, Queen Size, Genuine Licenced Get it "Fulfilled by Amazon" with Amazon guarantee from MechSoft Tech's shop.